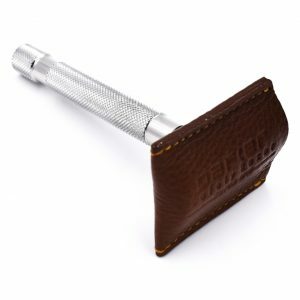 The Parker Mach 3 travel razor is the premier travel razor. 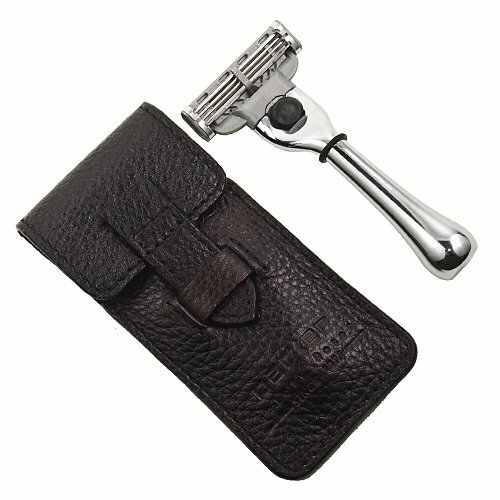 This model is small enough for travel, but heavy enough to give you a smooth, comfortable shave. 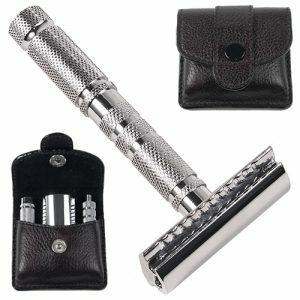 The Parker Mach 3 travel razor is the premier travel razor. This model is 3 long and weighs 1.6 ounces; small enough for travel, but heavy enough to give you a smooth, comfortable shave. The razor is great for traveling or every day use. 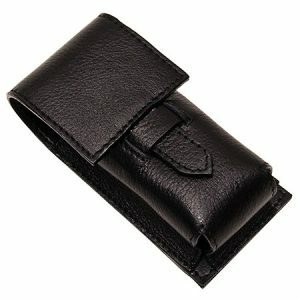 Buffalo Leather Case and one Mach 3 blade included.